Michael presents his beautifully composed original instrumental acoustic guitar arrangements skillfully blended with piano, bass, light percussion, strings, and flute. Enjoy this tapestry of new age, classical, light jazz, folk music styles - perfect for relaxation, romance, massage, yoga, sleeping, and holistic healing. Windham Hill style Spa Music. Inspired by visiting Niagara Falls. Michael presents his beautifully composed original instrumental acoustic guitar arrangements skillfully blended with piano, strings, and flute. Enjoy this tapestry of new age, classical, jazz, folk music styles - perfect for relaxation, romance, massage, yoga, sleeping, and holistic healing. Windham Hill style Spa Music. Inspired by hiking The Grand Canyon, Zion, Bryce Canyon, Arches, Rocky Mountains, Deserts of the South West. Features original acoustic arrangements skillfully blended with piano, strings, and flute to provide an exceptional background for yoga, massage, sleepless nights, holistic healing, stress reduction, meditation and relaxation. Experience deep relaxation. The gentle melodies allow you to drift into a forest of true calm and peace. 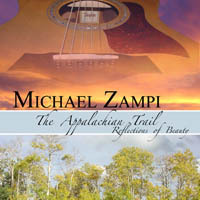 Inspired by hiking The Appalachian Trail. This CD has environmental sounds as well incorporated into the sound tracks, e.g. birds, rolling thunderstorms, wind, rain, crickets, hawks, and eagles. Features original acoustic arrangements skillfully blended with piano, strings, and flute to provide an exceptional background for yoga, massage, sleepless nights, holistic healing, stress reduction, meditation and relaxation. Experience deep relaxation. The gentle melodies allow you to drift into a forest of true calm and peace. Inspired by hiking in The Rocky Mountains. Features original acoustic arrangements skillfully blended with piano, strings, and flute to provide an exceptional background for yoga, massage, sleepless nights, holistic healing, stress reduction, meditation and relaxation. Experience deep relaxation. The gentle melodies allow you to drift into an ocean of true calm and peace. Inspired by kayaking, boating, and living on The Chesapeake Bay. This is Michael's debut CD as a singer. All these heartfelt songs come from his life experiences. He sings about his love of family and friends, romance, and his opposition to war. Michael's songs are very original in composition and very unique in music style. 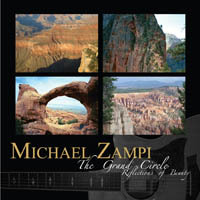 This is Michael's debut CD as a songwriter and instrumentalist. Renowned vocalist Jeff Archer performs beautifully with dynamic vocal styles. There is a wonderful diversity of musical styles that Michael writes from. 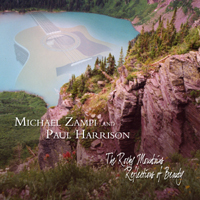 You will find the styles of Blues, Pop, Ballads, Rock Instrumentals, Reggae, and Country on this fantastic collection.